One way for parents to engage children’s’ thinking skills is through reading quality children’s books that promote aspects of cognition. Outlined below are methods, book recommendations and activities that can be used to encourage cognitive development in each of these areas. Social cognition refers to thinking about others and social situations. As children gain new cognitive skills, their understanding of how the social world works grows. They begin to understand why others behave or feel the way that they do but at times they are limited in their ability to understand the perspectives of others; however, this “egocentric thought” declines throughout the preschool years as children’s communicative abilities begin to increase. Reading children’s books about feelings and how they relate to thoughts and behaviors is a great way for teachers and parents to promote social cognition. 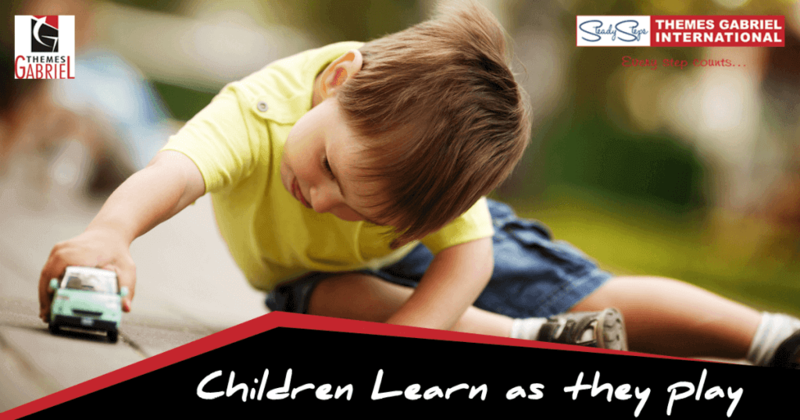 Advances in cognitive development during the school years allow children to communicate, play and logic in ways that promotes cognitive growth. Children attempt to explain how things work and why things occur. While their explanations can often seem far-fetched to adults, their stream of how and why questions display a real desire to reason and solve problems about the causes of events. For example, Eric Carle’s “The Very Hungry Caterpillar” is a perfect opportunity to ask children how and why animals or people might change. Parents should try to help children understand the natural causes of phenomena than merely seeing superficial changes in the appearance of things, a cognitive limitation often displayed at this age. Another example is after reading such books as “Building a House,” parents and teachers could present students with “building materials” such as craft sticks, glue, paper and straws and ask them to figure out how to build a house of their own using only what is given to them. One of the hallmarks of children’s’ thinking is the ability to engage in symbolic representation. A block may become a telephone, or a box may become a car. Young children unlike toddlers, begin to show an understanding of the difference between what is real and what is not. Make-believe play should be encouraged by parents and teachers and since children often identify with characters in books it is a good method to inspire children to participate in pretend play in new or unique ways through them. Books that show fun ways to pretend with simple objects are a great tool to initiate imagination and creative skills in children. After reading the stories, parents and teachers can present children with different objects and see what creative ways they play with them on their own. For example “Clouds” by Eric Carle is a great book to stimulate children’s imaginations. The main focus of the book is to look for pictures in the clouds! Metacognition refers to thinking about one’s own thinking. For example, preschoolers understand that it is easier to remember a small list of items than a longer one. It is not until beyond the preschool years that a child acquires knowledge of strategies that affect their own memory and learning. Parents can encourage children to reflect on their own thinking and learning by allowing time for a post-book activity. For example, following the reading of “The Bernstein Bears’ Dollars and Sense,” a book in which Brother Bear and Sister Bear learn about saving and spending money, parents can ask children to draw a picture about a time when and where they spent money. They can also ask them to name one thing that they learned from the book. If the children are unable to write then their response can be written on a whiteboard that can help children understand the individuality of their thinking and learning. Children’s memories are affected by their prior knowledge. A child at any age remembers new concepts and ideas more easily when they are put into a meaningful context, or if they are learned through hands-on experiences. Parents and teachers might also read books on a particular topic prior to introducing new concepts related to it. For example, if the class is doing a fall activity involving the dissection of a pumpkin, teachers might first read a book on it to teach the parts of the pumpkin and its life cycle. • Make connections from the story to the children’s everyday lives or personal experiences. For example, while reading “The Big Red Barn” by Margaret Wise Brown, parents and teachers can ask children to recall and discuss a time when they might have visited a farm. • Ask questions that require children to recall an earlier part of the story. What occurred at the beginning of the story? • Repeat important concepts. Children learn through repetition, so hearing new information more than once will help them learn and remember it.